Often, teenagers are eager to have a fun blast. Amazon.in makes it possible as it brings Creative Muvo 10 Portable Wireless Speaker at 25% Off. The Creative MUVO 10 is a versatile wireless speaker that makes perfect listening, be it in your kitchen or patio, beach or a picnic. Just pair your smartphone with Creative MUVO 10 and get set to music jive while you do your daily chores. The speaker doubles up as a speakerphone. Which means you can talk hands-free when a call comes in. The MUVO 10 is equipped with an integrated handle for great portability. With its built-in battery, you‘re free to enjoy your mobile entertainment anywhere owing to its long battery life of 8 hours. 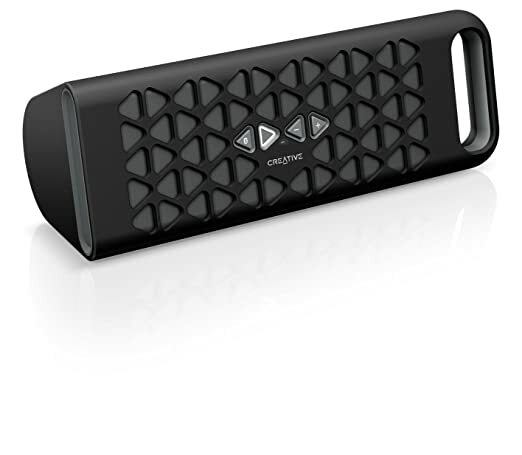 How to get this Amazon Creative Muvo 10 Portable Wireless Speaker at discounted price of Rs 4499? Pick the versatile and gizmo friendly Amazon Creative Muvo 10 Portable Wireless Speaker @ 4499 at 25% Off.